The crystal ball looked small and quick but it turned out to be a multi-stage process. 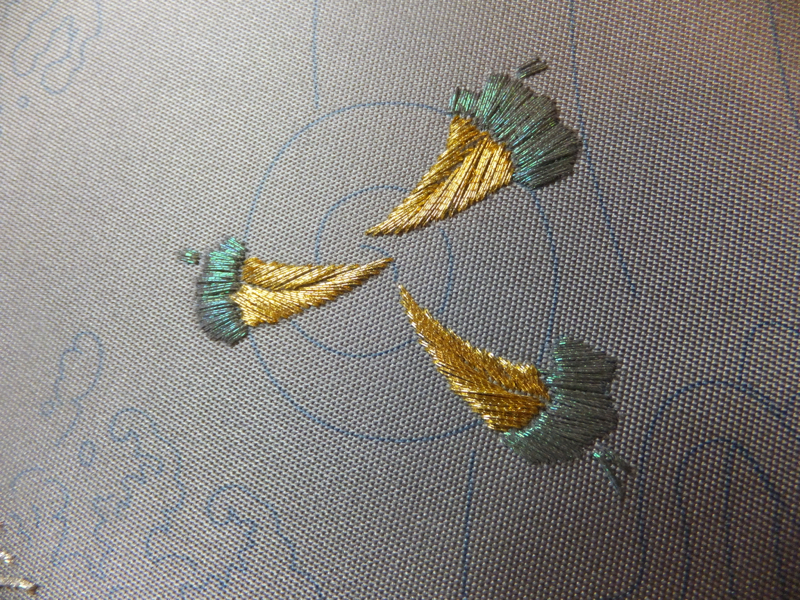 All the talons were stitched first, then a foundation layer of flat silk in solid colors. 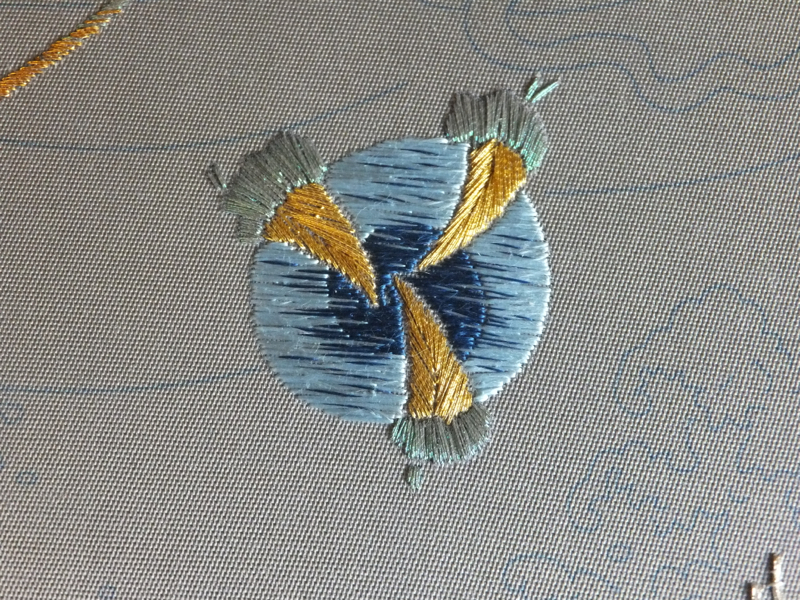 Then all the boundaries and the flat silk had randomly placed accent/holding stitches added in tiny thread. I believe it’s supposed to have an additional spiral stitched on top, but it looks good now. So I’m still debating. Here is is in the larger work! This entry was posted in Japanese embroidery, My work and tagged dragon, Japanese embroidery. Bookmark the permalink. This is so intriguing! Just continue to share and draw me into this spectacular project farther and farther. It is going to turn out so beautiful! Thank you for sharing. Have a wonderful creative day! 🙂 I’m looking forward to showing further pictures. Nice random shading on the crystal ball. It’s coming along nicely. It’s my experience that in these cases, if the designer tells you to add a spiral, it will look better with a spiral.That said – it’s looking good as it is!